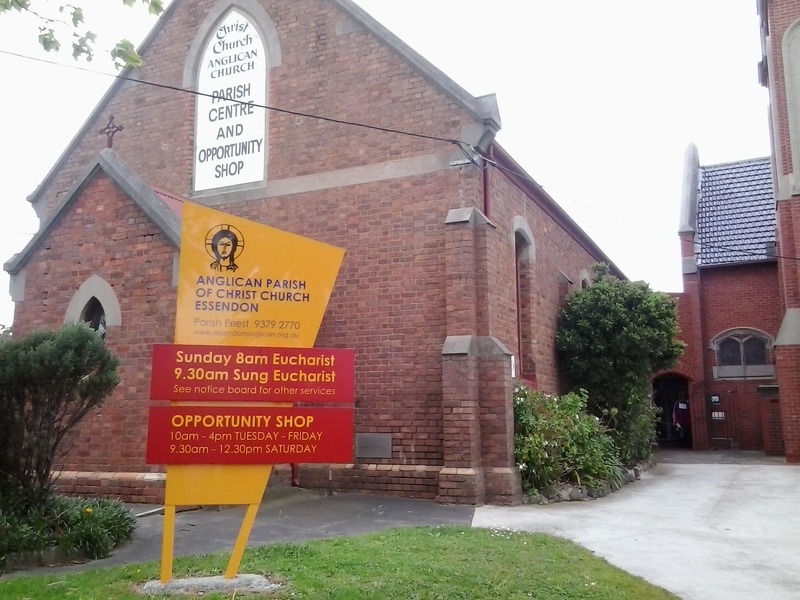 When my sister read the chapter on Thomas William Tyzack in William Baker Tyzack and descendants in Australia , she noted his connection with Christ Church in Essendon. An email whizzed into my email box and she asked: how about we go to a church service on the weekend of the Tyzack anniversary events? 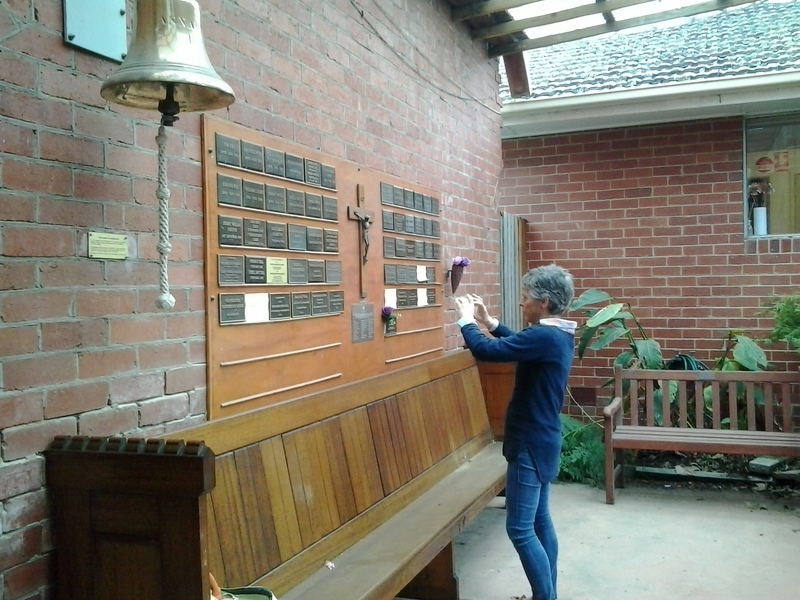 Contact was made with Father John Mathes and his excitement extended to taking photos, on our behalf, of the plaques and boards which list our Tyzack family members. An earlier posting presents these wonderful photos. 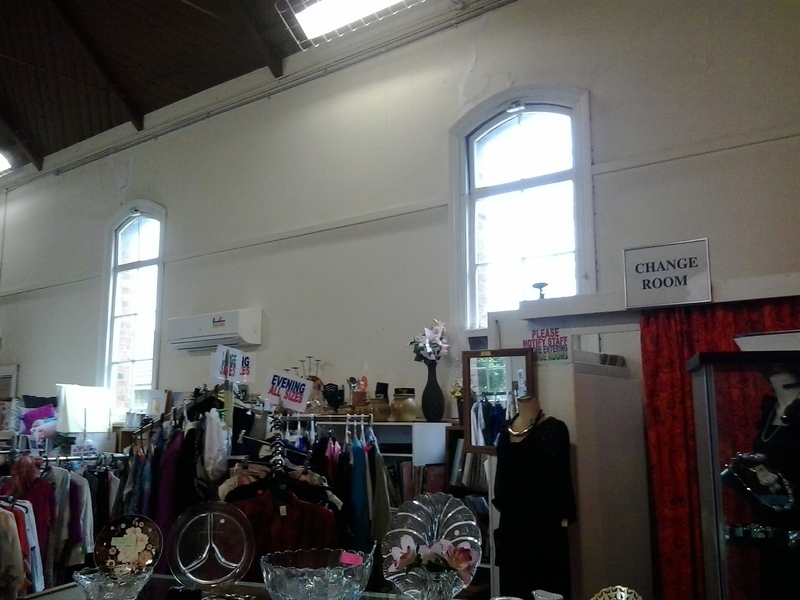 Last Friday my sister and I visited the church to get a sense of the atmosphere and to absorb the environment slowly. Once there, Father John greeted us warmly, showed us around and provided welcome refreshments. 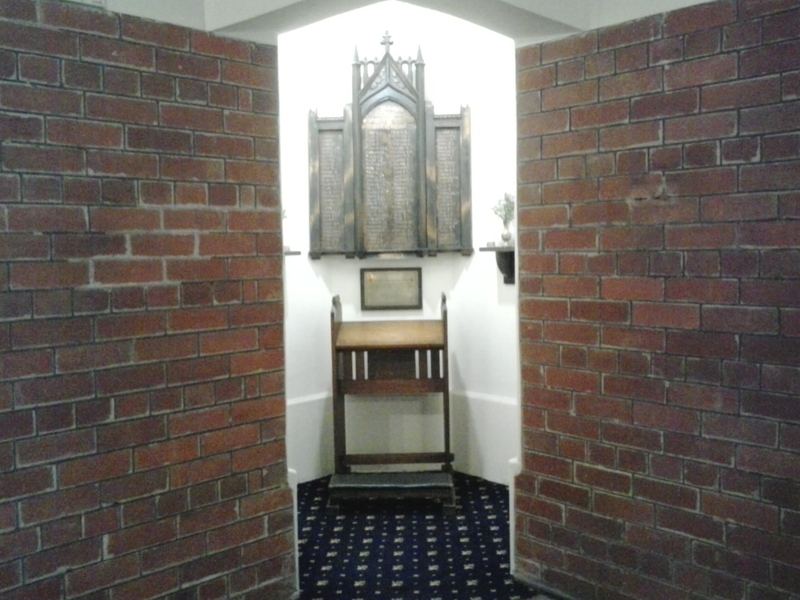 I am most impressed by his photographic abilities because my photos are not nearly as clear – see below the subdued light of the interior of the church and the awkward spaces which challenged me. 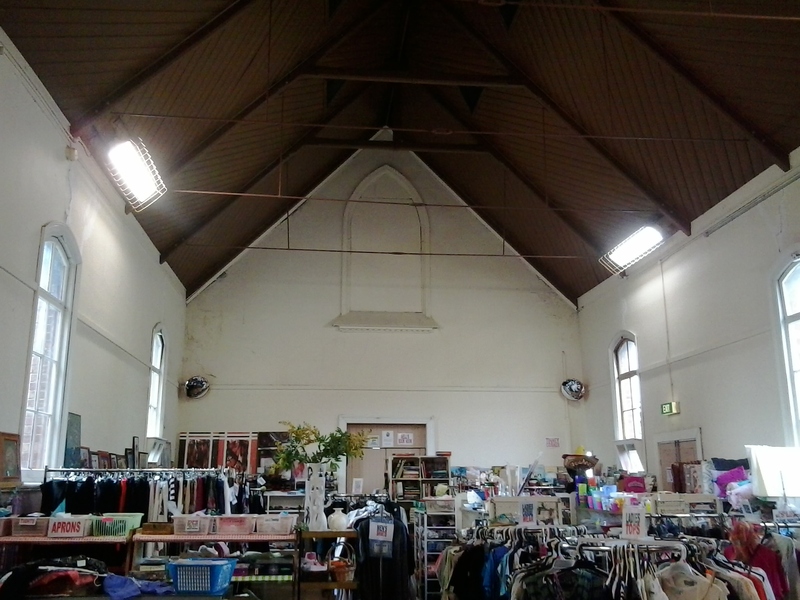 The original 1890s church building still exists and operates as an Opportunity Shop for the adjacent newer church. Yesterday on Sunday 9th October 2016, twelve members of our large Australian Tyzack family arrived for the 9.30 am church service. 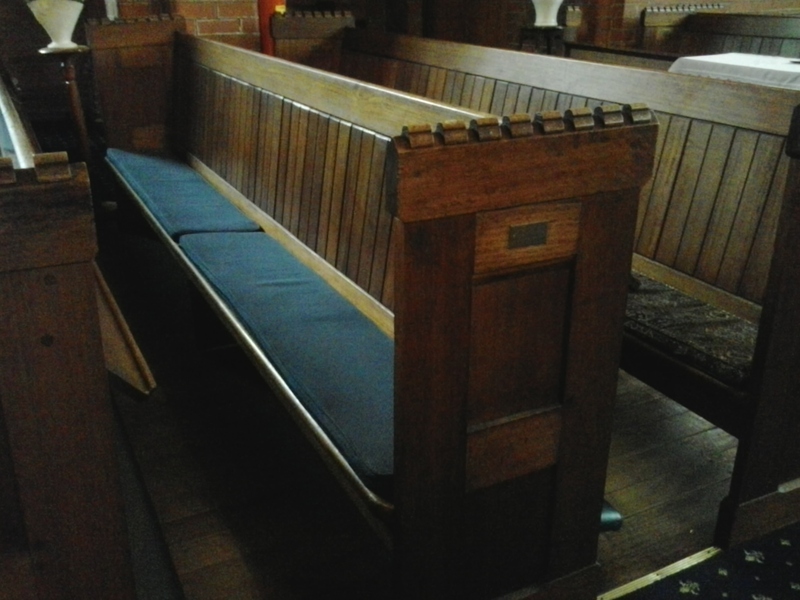 As other parishioners entered, Father John introduced us, showed off the boards and plaques and directed us to sit in the pew with the brass end plaque commemorating brothers Leonard Victor Tyzack and Thomas Oswald Tyzack’s return from World War 1. Then the service started. Father John told the congregation we were attending because of our Tyzack anniversary weekend; that 150 years ago William Baker Tyzack and his family (which included Thomas William Tyzack as a young child) arrived in Australia, and that our family have gathered together from around Australia for the first time in history to commemorate the event (and our gratefulness to be born in Australia). Father John has a warm relaxed style which makes everyone feel included and welcome. To our surprise when he started the homily or sermon, he referred to family history generally plus our Tyzack history and then used that information and ideas to connect with the message of the Gospel (Luke 17:11-19) which had been read earlier. I very much liked the fact that Father John did not present from up on high in a lofty pulpit rather he walked around at ground level near the front of the congregation. In this way, his sermon felt much more personalised and accessible. 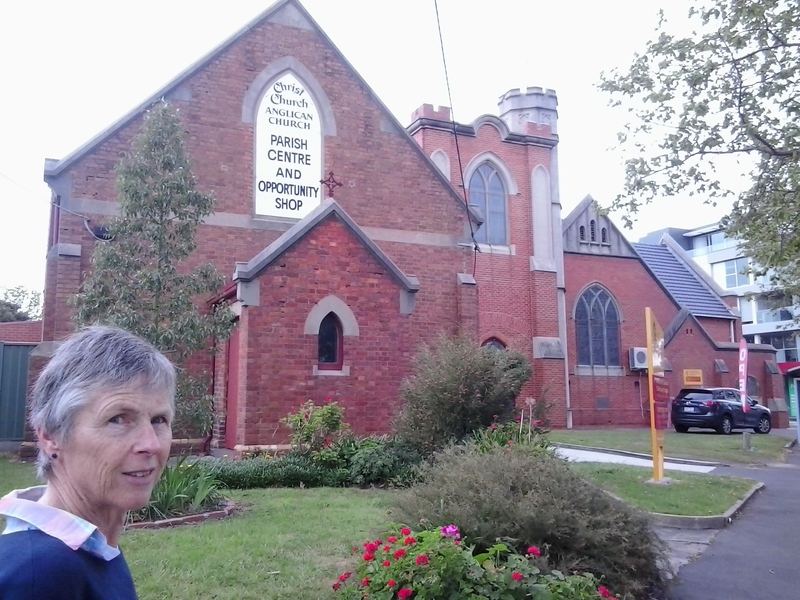 After the service, our family was invited to join the congregation for morning tea, during which time, Father John opened the old church building to show us where Thomas William would have worshipped 120 or so years ago. And the Tyzacks were seen in print. The handout leaflet for Sunday 9th October included: Welcome to members of the Tyzack family who are celebrating the 150th anniversary of William Baker Tyzack arriving in Australia. 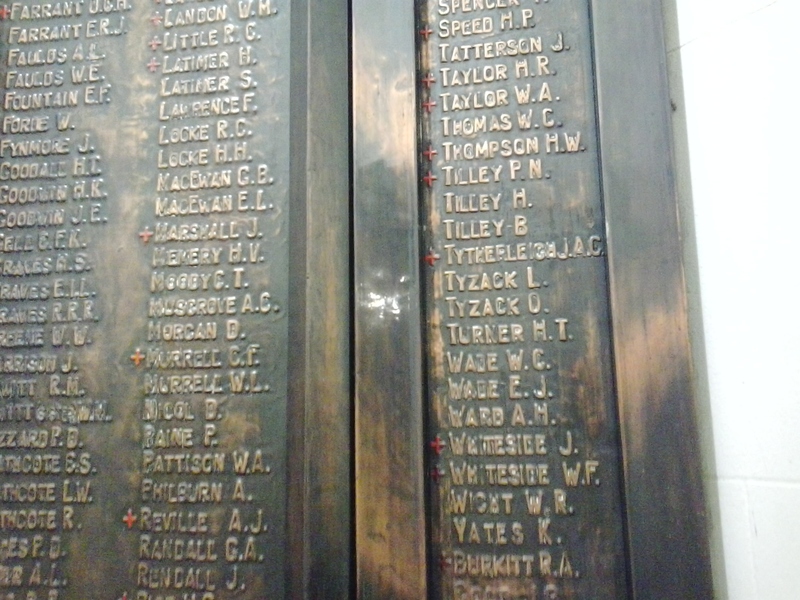 One of his sons, Thomas William Tyzack was a parishioner at Christ Church during the 1890s. 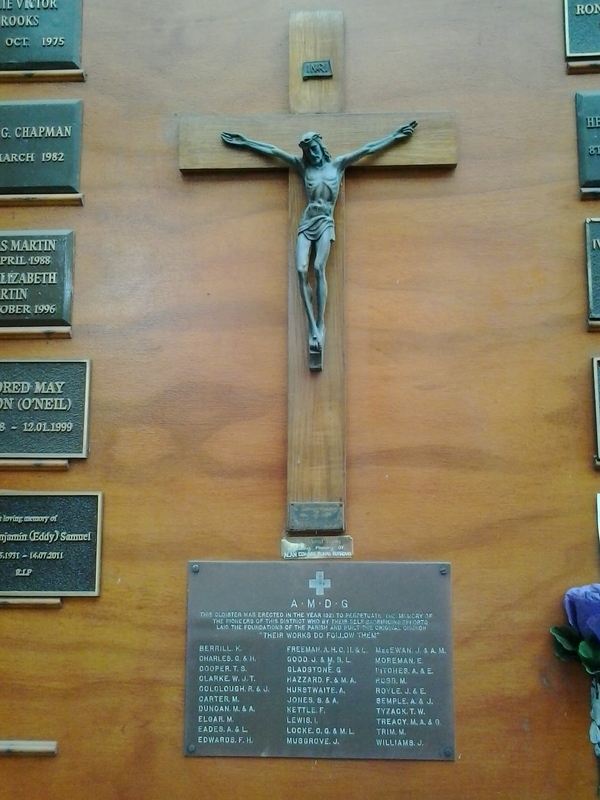 A book Christ Church North Essendon 1890-1990. The Joys and Tears of 100 years, published in 1990, considered Thomas William Tyzack as a Founder; On the 14th January 1892, 8 guardians were appointed: Tyzack … Mr Tyzack was Secretary and Treasurer. I hope I am speaking for all who attended yesterday’s service when I say I am very grateful for the generous spirit of Father John to acknowledge our family so fulsomely and for the warm welcome given to us by parishioners. This was a meaningful service at so many levels.